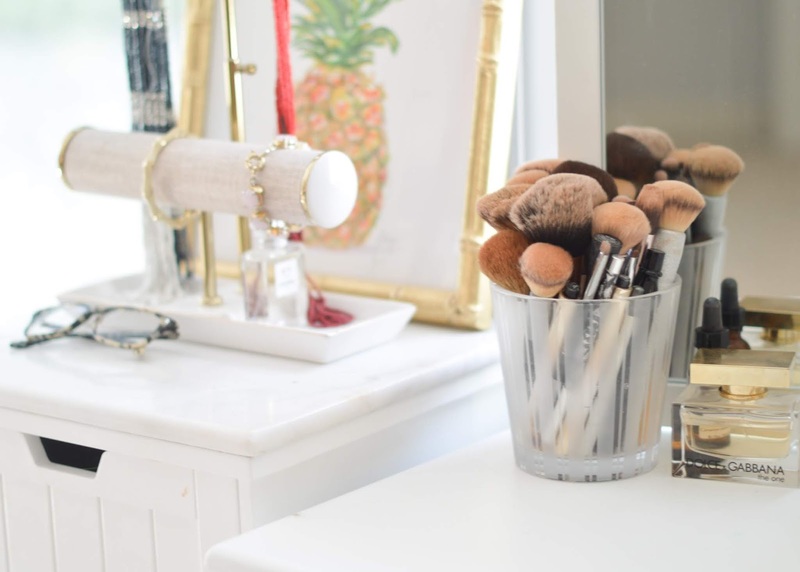 I know I'm not the only one out there that loves Wayfair - and it's safe to say that half of our house has been stocked with items from the online company. I love that there are so many options to choose from & anything that has 2-day shipping is a favorite for me as well. My house isn't the only thing I've used Wayfair for - it has become a very good resource for the shop as well. I most recently purchased these geometric bookshelves for the shop to display shoes but before that, I've ordered rugs, an ottoman, chandeliers and more. And it's all delivered right to the shop's front door. 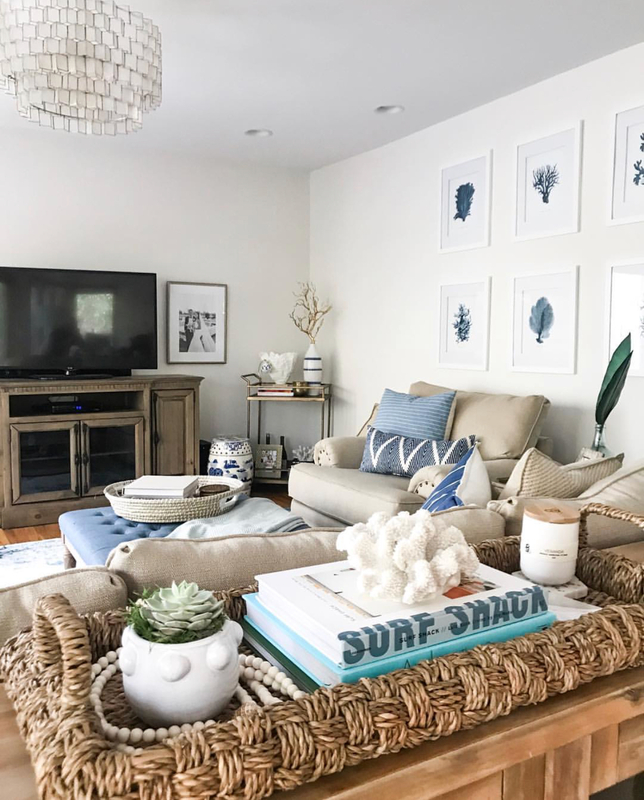 Living Room Rug - I get the most questions about this rug! It's one of my favorite things in our home and considering the size, it's such a steal! Media Console Table - A large media console was a must for me and though we have now mounted our TV, I still love the look of this one underneath. 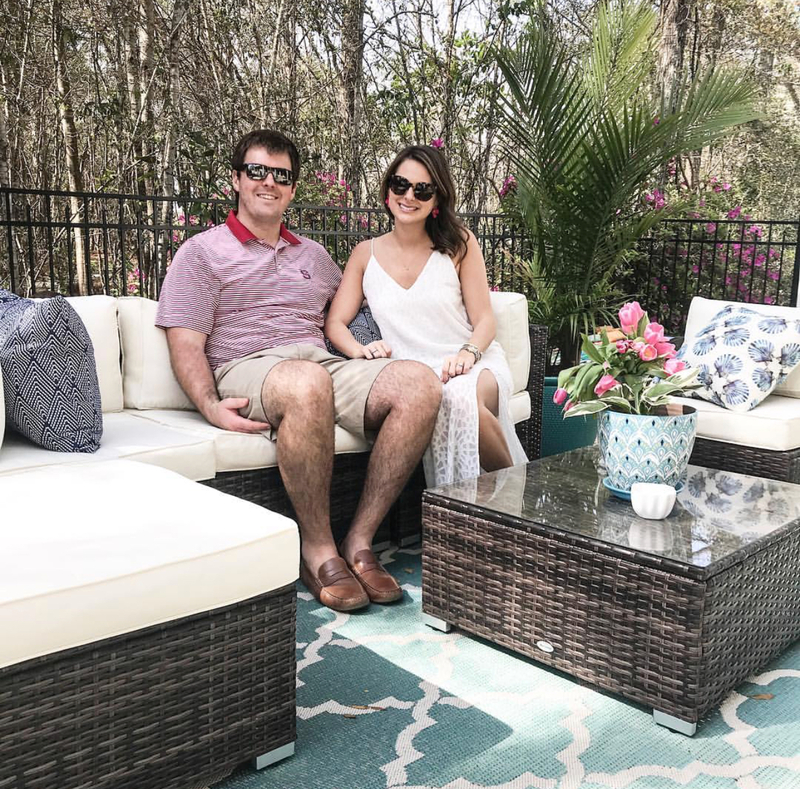 Outdoor Furniture Set - while our exact outdoor set is sold out, we did purchase it from Wayfair. This one is almost identical and it was this time last year that we got our backyard all set up. Outdoor Rug - a great option! Every so often we just spray it off and it is as good as new. Gold Drum Chandelier - We have two of these hanging in the store and I'm constantly receiving questions on them. I loved these so much that I was tempted to hang them in my house as well but decided that might be one too many. 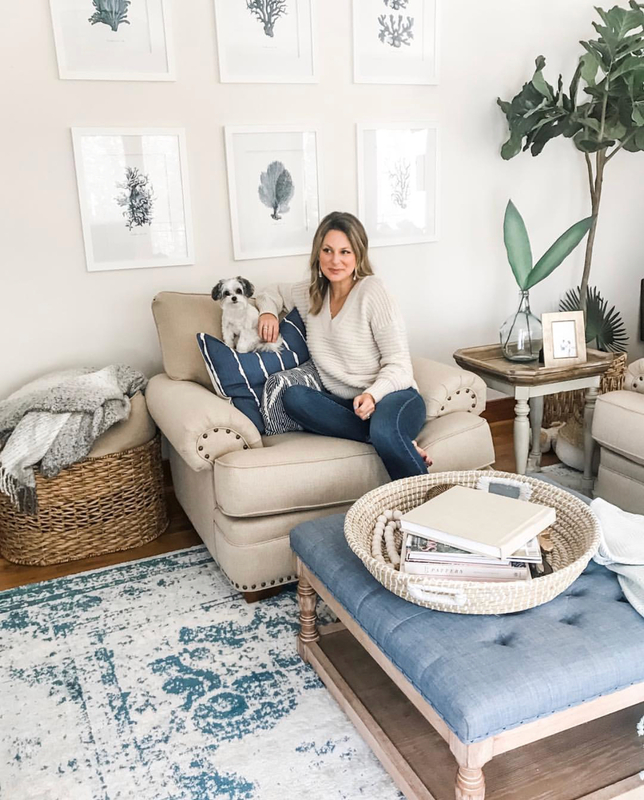 While these are just a few favorites, I've also rounded up all the things that we have from Wayfair both at our house and in the store (plus a few things I may have my eye on).